William M. (Biv) Wadden IV came to the golf instruction profession through a unique route. In High School, he competed against local Chicago standouts Gary Hallberg, Gary Pinns, Dave Ogrin and Hank Haney. In college, he played Varsity golf for the University of Notre Dame, lettered three seasons, and was runner-up in the 1977 Indiana Intercollegiate Championship. After graduation, he earned his MBA in Finance from the University of Chicago and went to work in the investment management industry where he enjoyed a successful thirty-year career as an institutional fixed income portfolio manager. He was a member of both the Evanston Golf Club and Bob O’Link Golf Club for over forty years combined, and is a former Club Champion of the Evanston Golf Club. Biv joined the golf industry in 2008 to focus attention full-time on his life-long love: golf instruction and custom clubfitting. Biv has been studying the golf swing his entire life. In his mid-twenties, he began to seek out the nation’s top golf instructors, and over the course of the next twenty-five years would work with thirteen of the top-fifty ranked golf instructors in the United States (plus over twenty excellent local instructors not nationally ranked). Few golf professionals have had the opportunity to work with, and learn from, as many of the nation’s top-ranked instructors. 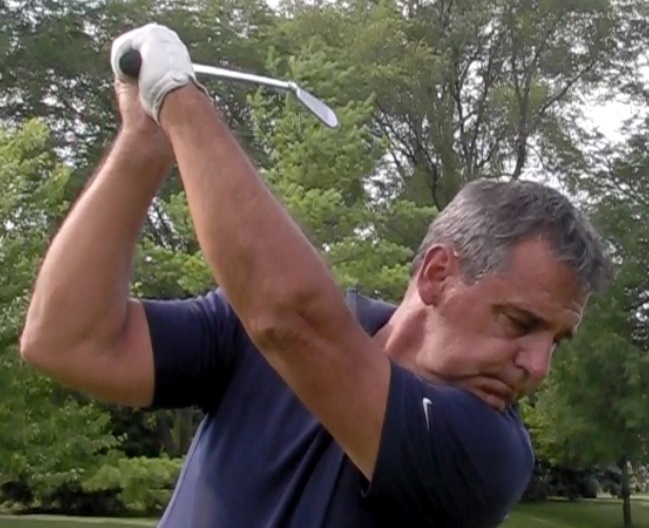 This multi-decade investigation into the swing keys of the great teachers provides Biv with a unique perspective into the bio-mechanics of the golf swing, shot-shaping and course management, tour-level putting mechanics, and an arsenal of wedge and sand play methods. Biv has taken the “best-from-the-best,” and now devotes himself full-time to sharing this knowledge with his students. Biv has earned professional certifications in both golf instruction and custom clubfitting. He is a Class A PGA Professional with the PGA of America and a Level 9 Certified Clubfitter with the Association of Golf Club Fitting Professionals (AGCP). As a step to join the PGA of America, Biv medaled his PGA Player Ability Test with rounds of 77-70, while hitting 25 consecutive greens in regulation (and 33 of 36 greens total) during his mandatory 36 hole qualifier. Good instruction works right away!